Summer brings about adventure, fond memories and a hectic schedule. As the countdown to the end of summer draws near, make the most of it with our list of last minute summer activities. These activities require no reservation and very little preplanning so they work into everyone’s schedule. The only thing left to book is a vacation rental on RentWisconsinCabins.com and let the fun begin! Nestled in Egg Harbor is a family friendly park full of fun! The Egg Harbor Fun Park boasts a 3,000 square foot indoor arcade, snack bar, 18-hole mini golf course, go karts, zip line, batting cages and more! The park is open through October 1st from 10:00 am- 10:00 pm. If you’re looking for the perfect activity to cap off your day in Door County head to The Penisula Players. This theatre offers a unique experience by seating guests in a garden. 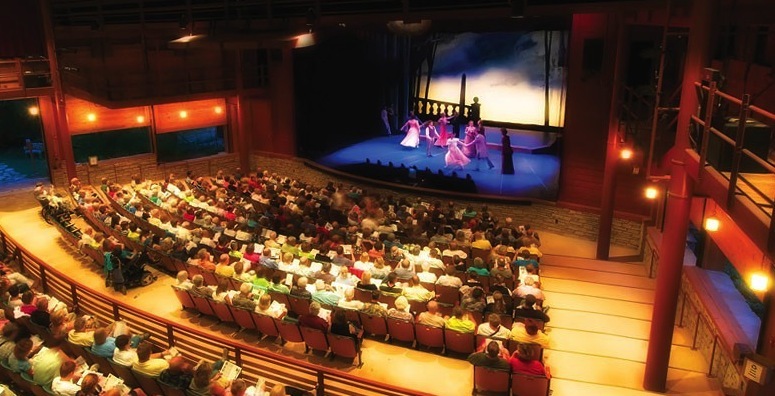 The sides of the theater rise and fall depending on what Mother Nature has in store and patrons can visit the theatre’s beer garden to see the sun set before taking in a show. Best of all tickets can be purchased right before showtime. After you’ve dried off from your time on the water enjoy a relaxing movie at Big Sky Drive-in. Big Sky offers one of the last drive-in theaters in Wisconsin and has two outdoor movie screens. A fully stocked concession stand is also on hand. Pets are welcome at this outdoor wonderland. The drive-in is open through fall. 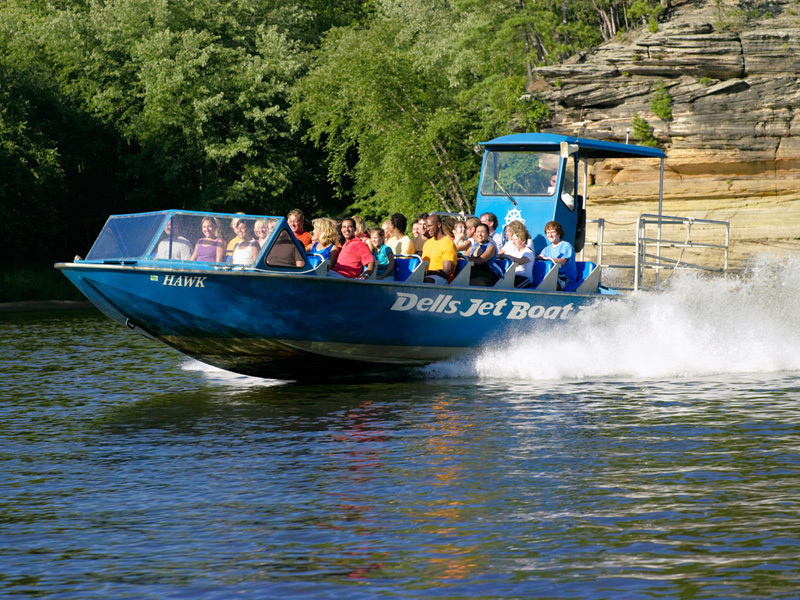 Wisconsin Dells Jet Boat Adventures offer wet and wild fun for the whole family. Jet boats throw guests into 50 minutes of spinouts that will leave you soaked and a 1,200 horsepower engine that will please even the most adventurous thrill seekers. Purchase tickets at the same location as the tours or visit one of their booths located in the Downtown Dells area. Among Middleton’s charming views lays a tasty treasure, the National Mustard Museum. The Mustard Museum offers visitors a look at more than 5,500 mustards from all 50 states and more than 70 countries. The Museum also features a tasting bar and is listed on the National Registry of Hysterical Place guaranteeing a few giggles with your mustard. Admission to the museum is free but donations are kindly accepted. Guest post provided by Danielle Papineau, 2013. This entry was posted in What to do in Wisconsin and tagged door county, Egg Harbor, Fish Creek, wisconsin, wisconsin dells, wisconsin vacation. Bookmark the permalink.